My prompt for this week is “Would like to meet”; well I would like to meet any and all of my ancestors. To be honest, the ancestors I would like to meet most are the stuff of history books (and Wikipedia entries) rather than blogs posts, being royalty and nobility. If I met Henry Stafford, 2nd Duke of Buckingham, I could ask him what happened to the Princes in the Tower and maybe solve a 500 year old mystery. However, in my blog I am revealing the lives of "ordinary" people from the past who otherwise would remain unknown. So for this post I am writing about Eliza Roberts. I would like to meet her to ask her who her mother was because I am not sure; not quite as big a mystery as lost princes but still something I would like to know. Eliza Robert was born about 1831 in Hendon according to most records, now part of London and not far from where I used to live, or Highgate, London, according to her baptism record. She was the daughter of George Roberts and Charlotte (maybe nee Hollingsworth). I have found a possible marriage record for Eliza’s parents but nothing further about her mother’s past. George Roberts was a shoe maker who belonged to a family of prominent blacksmiths and iron founders in Deanshanger, Northamptonshire. I am not sure what brought him to London but perhaps it was an apprenticeship? Eliza Roberts was baptised on 22 January 1832 at Highgate Chapel in the parish of Hornsey. In 1833, Eliza’s brother George was born in Hendon. He was followed a couple of years later by Frances Elizabeth Roberts, born around December 1834 in Hendon. Sadly, mother Charlotte died in December 1835, aged just 24. She is buried at St John’s, Hampstead; a picturesque grave yard that is the last resting place of a number of famous people. Sister Frances died in a few months later in 1836, in Hendon, when she was only 16 months old. It must have been a very difficult time for George Roberts (senior) who was left a widower aged only 25, with two young children. The young family returned to Deanshanger, where George married Susannah Harding in 1838. He also seems to have taken up work at the family iron foundry. Susannah had a son from a previous relationship, Frederick, who was aged 7 in 1838. This created a blended family and gave Eliza an older brother. George and Susannah had two more children that I know of, William, born 1839 and probably died before 1851, and Elizabeth, born in 1841. In August 1841, Eliza’s brother George died, leaving Eliza as the only surviving child of Charlotte. Eliza’s paternal grandmother, Elizabeth Robert nee Davies also died in 1841. It must have been a traumatic year for the family. Ten years later, at the time of the 1851 census, Eliza was living with her step-mother Susannah in Bicester, Oxfordshire. I am not sure what took them there as George was in Deansahnger at the time, although maybe he was just visiting his family on the night of the census. In any case, this explains how Eliza Roberts met John Smith, her future husband and a carpenter from Bicester, whose biography I wrote a couple of years ago. Eliza married John Smith on 17 April 1854, in Oxfordshire. Eliza signed the marriage register with a very shaky signature, so it seems that she was educated but perhaps wasn’t used to writing much. The story of John and Eliza’s family together is recorded in detail in his story. In summary, Eliza and John had four children: Emily, Harry (my great great Grandfather), Mary Ann and Elizabeth Ann. The family travelled and lived in various places around South East England before ending up in Woolwich, Kent. Eliza died in Woolwich in 1904, aged 72. By this time she was grandmother of at least 14 children, four of whom lived in Australia. Eliza had a turbulent childhood, as many have had throughout history. She lived in London and around South East England, moving frequently. She must have seen a lot of changes in the world between 1831 and 1904. When Eliza was born, Hendon was a little village a day trip from London. In 1904, it would have been a short train ride from the city centre. In many ways, her life was nothing special but with all she experienced and saw, I am sure Eliza Roberts would have been an interesting person to meet with lots of stories to tell to fill in the bare bones that I have discovered so far. See 52 Ancestors in 52 Weeks regarding the prompts. This story is inspired by the prompt “first” and actually covers the lives of the first three Thomas Bisgood’s that I have uncovered so far in my research. Only the first Thomas Bisgood is my direct ancestor. The first Thomas Bisgood was born around 1757. I haven’t found a record of his birth or baptism yet. The name “Bisgood” (and its variations) is rare in England. As there are similar names that occurred in Scandinavia and the Netherlands, I wonder if Thomas was a migrant from Northern Europe or the descendant of recent migrants. I think Thomas Bisgood married Alice early in the 1780’s. Thomas and Alice Bisgood had a daughter, Elizabeth, born 12 October 1782 and baptised 1 January 1783, in the parish church of St John the Evangelist, Westminster. I have not found any other records relating to Alice or Elizabeth. 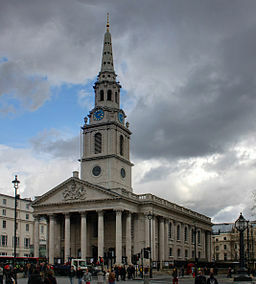 On 4 June 1788, Thomas Bisgood married Mary Head at St Martin-in-the-Fields, the famous church now next to Trafalgar Square in London, by banns. Both signed the register, so must have been educated. Thomas and Mary had at least eight children: Elizabeth, Charlotte, Mary Ann, John, Harriet (my ancestor), Henry, Thomas (the second one) and Nelson. Nelson and Mary died in infancy. The first two children were baptised at St Dunstan in the West, the third child at St Andrews, Holborn, while the family were living in Cursitor St, near Chancery Lane. The remaining children were baptised at St Leonard’s Shoreditch, by which time the family were living in Gray’s Inn Lane (now Gray’s Inn Road). I don’t know Thomas Bisgood’s occupation but I wonder if he was something like an attorney’s clerk, or even an attorney, as he always lived near the Inns of Court and his son and grandson, the other Thomas’s, were both lawyers. This first Thomas Bisgood died late in 1816 and was buried on 29 December at St Leonard’s Shoreditch, age given as 59. The second Thomas Bisgood, was born on 22 February 1805, in Shoreditch (as mentioned above), so was not quite 12 when his father died. His mother, Mary, died only 6 years later in 1822. By then, his surviving older sisters were all married, so one of them may have looked after him until he came of age. By 1824, Thomas Bisgood was training as a legal clerk – I found a newspaper mention of this. He became an attorney 1834. In 1842, according to various newspaper articles, his partner, Samuel Richardson Gilbert, went insolvent. His name crops up in various newspaper articles about court cases through the 1840s and 1850s. This Thomas Bisgood marries Maria Oakes on 11 January 1829 at St Mary-le-Bow, another famous London church. Thomas and Maria had at least six children, including Thomas Fallows Bisgood, born 11 December 1829 and baptised at Old Church St Pancras the following year. Sometime before 1861, Thomas Bisgood migrated to New York, USA, leaving his family in London. I assume that he was estranged from his wife. At this time in England, divorce was not an option for most people. In 1864, he because a naturalised US citizen. He lived in Brooklyn, New York and died there in 1878. Meanwhile, son Thomas Fallows Bisgood also trained as a lawyer. According to an obituary, he practiced in Paris as well as in London. The third Thomas married Annie Martha Yates in Kensington in 1849. They had several children, including another Thomas (who I will not write about). However, like his father, Thomas’s marriage appears to have failed. He left his wife with his brother, Henry, who was already living with them (in the 1861 census), and joined his father in New York before 1870. Thomas became a naturalised USA citizen in in 1874. His son Henry had joined him in New York by 1880. Within months of Annie’s death in 1886, Thomas Fallows Bisgood remarried to an Edith. He married a third time in 1889 to Alice Maude Whitaker and had two more children, one of who died in the 1960s, extending this story over 200 years. Thomas Fallows Bisgood lived in Sag Harbour, New York, where he became a police justice. He also stood a Democratic candidate in a judicial election. He was certainly a prominent citizen of the area. In 1895, Thomas Fallows Bisgood died of Bright’s disease (kidney disease). While I know a lot about the second and third Thomas Bisgood, I am continuing to look for any records of the first Thomas Bisgood’s life before he married Mary Head. Perhaps there is an earlier Thomas Bisgood yet to find. The "First" prompt is part of 52 ancestors in 52 weeks. Hannah Blakeley was born on 29 April 1765 in Batley, Yorkshire, the third of John Blakeley and Sarah Swallow’s nine children. Her eight siblings were: William, Maria, Sarah, Jane, Mary, John, Abraham and Elizabeth, all born between 1761 and 1780. Hannah was baptised just over a week after she was born on 7 May 1765 in Batley Parish Church. In 1765, her father, John, was working as a labourer. He later became a clothier, probably a cloth maker (clothier can also refer to selling clothes); a common occupation in Batley at the time. It appears that Hannah may not have been educated; she did not sign her marriage certificates. Her sisters also did not sign their marriage certificates, although her oldest brother did. On 4 December 1786, 21 year old Hannah married Joseph Talbot at Batley Parish church. Hannah and Joseph had five children over the next ten years: Letitia, John, Jane, Stephen and Joseph. Sadly, Hannah lost her husband Joseph in January 1797 and her baby son Joseph only 6 months later, leaving her a 32 year old widow with 4 young children and probably dependent on her extended family for support. 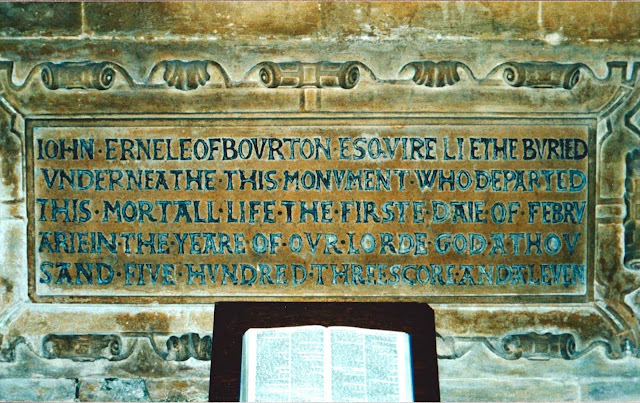 The two Joseph’s were buried together and their monumental inscription says they were of Havercroft, Batley. On 20 September 1800, just a couple of months after Jane died, Hannah Talbot nee Blakeley and George Newsome applied for a licence to marry in Batley Parish church. In England prior to 1907, a marriage to a deceased wife’s sister (or deceased husband’s brother) was not valid due to the relationship being within a prohibited degree of affinity, so George and Hannah had a problem. It seems that they were not able to marry in Batley, so a couple of days later, on 23 September 1800, having tweaked a few facts, such as their ages, they applied for a licence to marry in nearby Rothwell Parish Church. This time, the wedding went ahead. John Sheard, one of the witnesses, was Maria Blakeley’s husband (Hannah’s older sister), so presumably the Blakeley family were happy enough with the marriage. In any case, Hannah and George must have been determined as a marriage licence would have been a considerable expense. By a quirk of marriage law, their marriage became legally valid in 1835, while they were both still alive. Hannah and George, already having seven children between them, had three more: William, Hannah (my ancestor) and Jane. Sadly, Hannah’s children John and Jane died in September 1802 – perhaps there was a bug of some sort doing the rounds. In addition, three more of the children died as adults before Hannah and George, including my ancestor, the younger Hannah (who also married a Talbot). Hannah Newsome (nee Talbot and Blakeley) died on 28 September 1838, age 73. She was buried at Batley Parish Church on 2 October 1838 with memorial stone commemorating her, her sister Jane, nephew John and husband George. George died in 1845. For some reason unknown to me, many years later in 1862, son William applied for probate for both of his parents. Hannah’s estate was valued at less than £20, as was George’s. Hannah’s life seems to have been typical of women of her time and station. Even her questionable second marriage was not that unusual and certainly understandable. I am a keen traveller. One of my ambitions is to visit 50 countries by the time I am 50. I am up to country 42. Being an Aussie, I have numerous ancestors who travelled vast distances so am spoilt for choice by the prompt “Travel”, so I have decided to write about an ancestor who lived in at least 3 countries (like me). 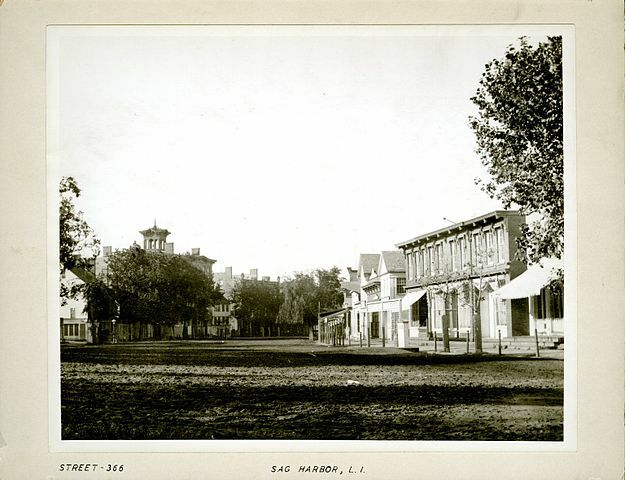 Malcolm Macdonald* was born in North Carolina, USA, around 1806. His death certificate gives his place of birth as Williamsburg and there is a tiny place (still) of that name in Rockingham County, North Carolina, although I can’t find any trace of Macdonald’s living in that area in the early 1800's. I don’t know anything about Malcolm’s childhood in North Carolina or how long he lived there. By the early 1820’s, Malcolm and his family had moved (or returned) to Scotland. Family legend says that there was a connection to the famous Flora Macdonald, who did spend some time in North Carolina, but I have no evidence to support the claim. Malcolm’s father was Angus Macdonald, a flour miller, and his mother may have been Janet McLean. Janet was the mother of his sister Mary who was born about 1825 in Greenock, Renfrewshire, Scotland. Malcolm also had siblings Angus, Marion and possibly Neil, born about 1822 in Greenock. Angus, a sailor, Marion and Mary all feature in family correspondence that I have copies of. Janet McLean died in 1854 just months before Scotland introduced civil registration with certificates containing lots of family information. On 25 February 1826, Malcolm married Agnes Donaldson in Greenock. They had five children: Malcolm (my ancestor), Agnes Kay, Angus (1831-1831), Angus (1833-1837, died of whooping cough) and Annabella. Sadly, only Malcolm and Agnes survived childhood. Agnes Donaldson died not long after Annabella was born, leaving Malcolm a widower with two young children. On 4 October 1836, Malcolm married Rachel Macdonald in Kilmuir, Inverness. Malcolm and Rachel had eight children, six born is Scotland (Annabella, Flora, Mary, Roderick, Rachel and Marion) and the last two (Charles David and Margaret) born in Liverpool, England. Roderick died young but the others all survived to adulthood and feature in the family correspondence. From at least 1835, Malcolm worked as a clerk for shipping companies, so his move from Glasgow to Scotland is not surprising. From letters, it looks like his work took him to Le Harve in France and maybe other places. I have not been able to find Malcolm in the 1851 census (for either Scotland or England), so I wonder if he was out of the country at the time. He wasn’t in Liverpool with his wife and children. At the time of the 1861 census, Malcolm was living with his family in Liverpool and the census record says that he was a naturalised British Citizen born in North Carolina. At the time, it seems that marrying a Brit was enough to gain citizenship and he had married two. At some point in the 1860’s it seems likely that Malcolm and Rachel’s marriage broke down. Whatever happened, one of his daughter’s had not forgiven him by the time he died. Of Malcolm Macdonald’s thirteen children, Malcolm jnr is the only one I know married; Charles and two of the daughters I am not sure about yet. I wonder if their parent’s marriage failure put the daughters off marriage. Before December 1873, Malcolm moved to Melbourne, Victoria (now Australia), leaving his wife and daughters behind in Liverpool. Both sons, Malcolm and Charles, were living in Victoria by this time, one in Ballarat and the other in Hotham. 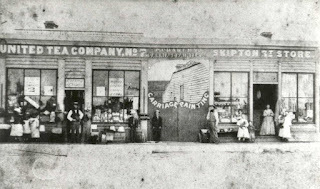 In Melbourne, Malcolm snr worked as a collector for Messers Campbell and McCullock and lived in lodgings at 145 William Street. In the winter of 1877, Malcolm contracted pneumonia following a fall where he injured his chest. He took to his bed and treated it with port and whiskey. I know from his inquest report that this remedy failed. Following Malcolm’s death, his son Charles was eager to split the inheritance, of £121, between himself and Malcolm jnr. However, Malcolm jnr, somewhat surprisingly, given his reputed poor character, waited waiting a reasonable time (several months) for return mail from Liverpool whereby the sisters could claim their share. So Malcolm was born in the USA, married in Scotland, lived in England, probably visited France, and died in Australia; definitely an intrepid traveller at a time when all that travelling had to be done by long sea voyages. *This is the spelling that my modern Macdonald relatives use, however every version you could think of occurs in the records. 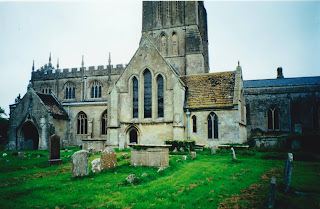 Back in 2000, in spite of petrol shortages due to refinery strikes, I did a road trip through southern England and visited villages where some of my ancestors lived. I found several churches that had monuments to branches of my family tree who were landed gentry. This is the story of one of those ancestors; a man whose monumental inscription I particularly liked. My ancestor John Ernley* was born soon after 1507, which is when his parents, John Ernley and Lucy Cooke** were married. He was probably born in or near Bishops Cannings in Wiltshire, where his family had property. 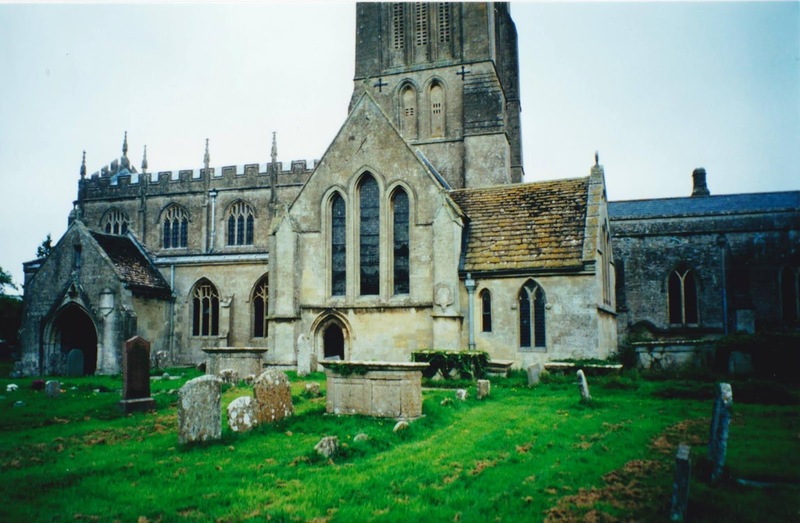 This photo shows the outside of the parish church at Bishops Cannings. John had at least three siblings, younger brother, William, and two sisters, Margaret and Jane. His great uncle (or less likely, grandfather***), also John Ernley, was Solicitor General, Attorney General and Justice of the Common Pleas in the courts of Henry VII and Henry VIII, so the Ernley family was prominent at the time. John Ernley married Mary Hyde, daughter of William Hyde of Denchworth. The Denchworth Hydes were apparently a Catholic family so fell out of favour in the reign of Protestant Elizabeth I. John and Mary were probably married around 1540; this is a rough assumption extrapolated from the dates I am sure of. Parish registers for Bishop’s Cannings start in 1591, so there are no parish records from the time John and his family were alive and I am reliant on other sources of information. John and Mary had four children that I know of: Anne (my ancestor), Michael (born c. 1542), Thomas and Francis. Mary must have died young, as John married a second time to Joan Reade, a widow, who was named in his will. A part of the landed gentry, John held property in several parishes near Bishop’s Cannings, as well as in other parts of England. In particular, he inherited the manor of Bourton, in Bishop’s Cannings from his father and this seems to have been his home. John also held roles that fitted with his position in society. He seems to have been sheriff of Wiltshire in the 1550s as he is apparently mentioned in Privy Council records from the period. In 1559, he was Member of Parliament for Wiltshire. John Ernley died on 1 February 1571, 1572 according to the Gregorian calendar, or as per his monumental inscription: fifteen hundred three score and eleven. It is this way of expressing the date that particularly appeals to me because it is different and quaint. 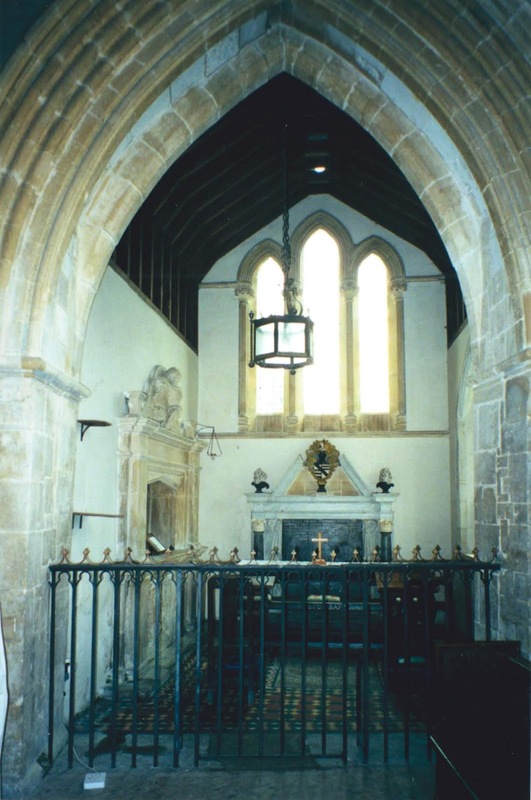 John was buried in the Ernley chapel in Bishop’s Cannings parish church, as requested in his will. Right is a photo of the chapel and below is the inscription. I think there might be much more to discover about John and his family but records from the 1500s are more or a challenge to research than those relating to more recent periods of history. This blog post is inspired by the 52 Ancestors prompt for this week “Going to the Chapel”. *Earnley is the parish in Sussex where the family come from. Other spellings include Ernle and Earnlie. ***There were several related John Ernley’s whose lives and career’s overlapped, likely including two brothers, so it makes trying to work out who was who somewhat complicated. I don’t remember when I first heard the story of my ancestor, the original Philip Charley (as opposed to his several Philip Charley descendants). At some time during my childhood, I was told about Philip Charley who came from Devon to Ballarat in Victoria, Australia, lost his wife, abandoned his children and then disappeared; no keeping skeletons in the closet in my family. Perhaps this is one of the stories that sparked my interest in family history, wanting to know what happened to him. Philip Charley was born in North Molton, Devon, a town not far from the edge of Exmoor. He was the youngest child of James Charley, a tallow chandler (candle maker and seller), and his wife, Mary Cockings. Philip was baptised in the parish church on 19 Mar 1820. His older siblings were Anne, John and William. I wonder if there were more children who were not baptised and who may have died young – there are four to six year age gaps between each child, which is unusual in an era when a child every two years was the norm. The name Philip appears to have come from the Cockings family. Mary had two brothers named Philip (one died in infancy). I don’t know any more about Philip’s childhood. In the 1841 census, Philip was still living with his extended family, including brother William’s wife and child, and working as a wool comber. I have not been able to find Philip Charley in the 1851 census. At some point before 1854, Philip Charley moved to the East End of London and became a coach painter – possibly not in that order. In the East End, he met Catherine Thompson. They were married on 24 August 1854 at St Mary’s Haggerston in London. One of the witnesses was Catherine’s brother-in-law, Thomas Archbold, who was also a witness on several other family records. A few months later, on 9 December 1854, Philip and Catherine set sail on the Caldera to Melbourne, Australia. The ship arrived four months later on 7 March 1855. Both had siblings who left England around the same time. Philip’s brother William migrated with his family to Canada. Catherine’s brother, also William, was living in Ballarat by 1857. Two more of Catherine’s siblings ended up in New Zealand. On 23 November 1855, Philip and Catherine’s first child, William Joseph Charley, was born in Geelong. He was soon followed by Harriet Catherine Charley, also born in Geelong, in 1857. The family then moved to Ballarat where their remaining children were born: Mary Ann, Rebecca, Philip George, John Joseph (my ancestor) and William Thompson. The oldest, William Joseph Charley died in 1862 and his names were reused for his younger brothers, a common occurrence in times past. 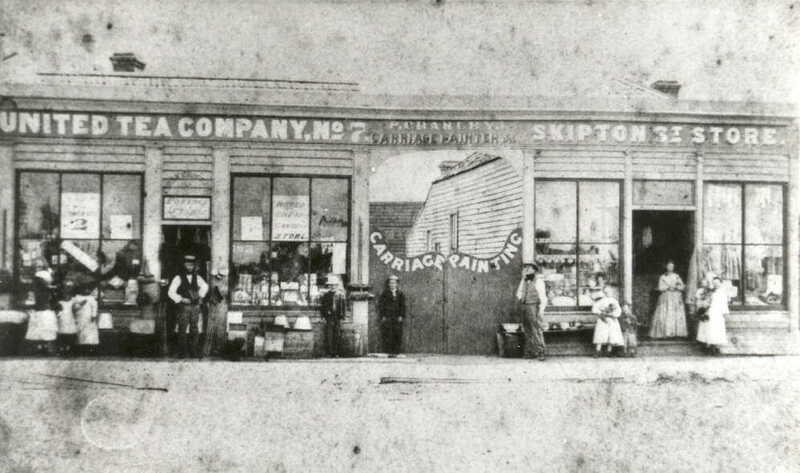 Philip Charley continued working as a coach painter in Ballarat, his place of business is shown in this old photo (I have no idea if any of the people in the phot are family). I am not sure how successful his business was. I don't know where it originally came from. I assume that due to it's age it is public domain. An 1866 street directory shows Philip Charley, coach painter, next door to William Thompson, carpenter in Dawson Street, Ballarat. A 1872 newspaper report (in The Ballarat Star) of an attempted arson indicates that Mr P Charley owned several houses, one of which has been set on fire, living in one small residence and renting out the others. Perhaps this indicates that at some point, his coach painting business was successful. What I do know is that Philip made his mark in Ballarat in other, less fortunate, ways. The less savoury parts of his life can be tracked in “The Star” and “The Ballarat Star” newspapers (the name changed about 1865). In November 1862, Philip Charley was charged with beating his wife and threatening to take her life. The newspaper describes Catherine as a formidable looking woman; I don’t know if this was the press trying to downplay the seriousness of domestic violence. This is the only description I have of Catherine. Philip said that he was sorry and was told by the judge to find sureties for his good behaviour or go to gaol for a month. Little more than a year later, in January 1864, Philip was arrested for using obscene language in a public place. When he was being arrested, he ran away from the constable, only to be re-captured. He then offered the policeman £2 and “a shout” at the hotel (pub, for non-Aussies). He was charged and given a fine or a few days in gaol. I assume alcohol was involved in the offenses. Another few months later, in March 1864, Philip was once again charged with threatening his wife’s life. In this instance he was bound to keep the peace for 3 months. From a modern view point, this seems like a very mild sentence for a repeat offence of domestic violence but, on the positive side, it was taken seriously enough by the authorities to make it to court. After this, Philip seems to have settled down and behaved for a while. On 30 Jul 1870, Catherine died from pyemia, which is a form of blood poisoning. She was buried in the Old Ballarat Cemetery on 2 August 1870. Philip arranged a funeral procession from their house to the cemetery, inviting friends to join the procession. In spite of their volatile relationship and the death threats, Philip’s life seems to have fallen apart after his wife died. I don’t know whether this was because he was grief stricken or couldn’t cope with his young children or a bit of both. In November 1871, The Ballarat Star records that a Charley girl aged 14 ½, presumably Harriet Catherine, was found by the court to be neglected and was sent to a Reformatory school. Less than a year later, in October 1872, Philip’s daughter, Harriet, again appeared before the court, charged with being idle and abandoned. She asked to be sent to a reform school or convent. The judge told Philip that he was unfit to have charge of his daughter, already having four children in Industrial schools. From the Victorian Police Gazettes, it appears that the four children were Rebecca, Philip, John and William. By November 1872, Philip Charley was out of work and in trouble for neglecting to pay maintenance for his son who was an inmate in an industrial school. Philip told the court that he was about to start work on the railway and the Judge told the police to confirm this. Philip ended up being sentenced to 1 month in prison in December that year, so maybe he didn’t have work after all. In 1873, Philip Charley was remanded again for not paying maintenance. Multiple times prior to this, Philip had tried to have the amount owed reduced. From 1871 until 1879, Philip Charley was regularly mentioned in the Victorian Police Gazette as owing money for child maintenance. The sum eventually came to £144, a vast sum in those days. From the Victorian Police Gazette, I have a couple of descriptions of what Philip Charley looked like. In 1872, when going to gaol, he was described as 5ft 6 ½ inches tall, sallow complexion, brown hair, grey eyes, a mole on his left cheek and small finger on his right hand injured. I find the second description from November 1873 more fascinating as it hints at his attitude: 5ft 7 or 8 inches, fair complexion, fair hair inclined to curl, fair whiskers turning grey, light blue eyes, point of nose turned up and walks erect with head thrown back. It also mentions that he wore shabby clothes. The two descriptions could be of different men. It would appear that before the end of 1873, Philip had absconded from Ballarat, hence his description in the Gazette. My guess is that Philip knew he would never be able to pay his debt and having had enough of the courts and gaol, decided to run away from his responsibilities. In spite of the debt, the children stayed at school and were educated. Philip went to Melbourne where he may have continued working as a painter; that is the occupation on his death certificate. He died from renal (kidney) disease on 31 August 1876. I assume that his family had no idea that he had died and the authorities were certainly unaware as they continued to pursue him for another 3 years. One of the most the things I find most fascinating about this story is that in spite of the children being placed in care, they managed to stay in contact with one another and most of they ended up living near each other around Wagga Wagga, NSW, for a time as adults. Perhaps their uncle, William Thompson tried to keep an eye on them. Given that Philip was no role model for his children, you may wonder why the name Philip was passed down through subsequent generations. I assume they were named after the son, Philip George Charley, who, as one of the founders of BHP, was a success. Philip George’s son, Philip Belmont Charley was knighted. Between them, they redeemed the name. This blog post is inspired by the #52Ancestors prompt “Misfortune”. I have written about my ancestor James Jesse Blake before. When he was about 70 (c. 1920), James wrote his life story for his children. In the family this story is known as “The Diary”. In The diary, James noted that his Blake grandmother “died at a very advanced age”. She was about 78 years old. I am not sure that people would consider that an advanced age now but I remember my Blake grandfather talking about living on borrowed time because he had passed his allotted “three score and ten” years. James Jesse Blake lived to be 81, even older than his grandmother. Having read James’ life story, I have noted numerous events in his life that make his advanced age seem like quite an achievement. James Jesse Blake was born on 1 June 1848, in Aldgate, London. In the 1851 England Census, a nearly 3 year old James was living with his grandmother, Elizabeth Gilbert (formerly Blake and possibly nee Flower), in Limehouse. This may have been because his parents, who lived nearby, were busy with a one year old daughter, Catherine, with another sister, Eliza, about to arrive. Not long after that, James Jesse Blake had a severe childhood illness and the doctor didn’t expect him to survive. Two sisters, Eliza and Sarah, who are not mentioned in the diary, sadly died in the summer of 1855 and I wonder if all three children had the same illness. James survived his illness and soon started school. James went to a Grammar school that he described as being on the cutside of Regents Canal near a lock. One day, while “helping” the lock keeper, he was struck by part of the lock and knocked into the canal. Word quickly went around the school that “Blake had drowned”, however he was hauled out of the water and was fine, if wet. At the time of the 1861 census, the student James Jesse Blake was living with his parents and siblings, in Park Street, Limehouse. Having survived his schooling, James became an apprentice carpenter on the docks. While walking along a gangway at London Docks in a thick London fog, he missed his footing and fell into the Thames. He called for help and was rescued by a Swedish sailor who got him dry clothes, returned James to his parents and almost convinced him to migrate to Australia. James was keen but his mother was not. James’ apprenticeship continued. He moved out of home until he fell ill and had to move back. It might not be a surprise to find out that not too many years later, while rowing with friends on the Lea River at Hackney, James fell in the river. He had to swim for shore and then walk 3 miles home in his wet clothes. James then managed to have several years without a memorable accident or illness. Around 1870, James moved north to Newcastle-upon-Tyne for work. Curiously, he is listed in the 1871 census living there as James Gilbert. I know it is the right person because the Diary records the family James boarded with in Newcastle and all the other information fits. After a few years, James moved back to London to marry Eliza Todd in 1874. They soon had several children. In the 1881 census, the young family were living in Bromley St Leonard, London. As for the next serious incident, at some time in the early or mid-1880s, James caught small pox. He was temporarily blinded by the disease and was sick and unable to work for three months. I have another ancestor, Mary Anne Simmons, who caught small pox around the same time and died from it. A few years later, one January night, James was working late at the docks and managed to fall out of a boat he was trying to row against the Thames tide. He managed to scramble back into the boat and get back to his colleagues to dry himself out. James didn’t tell his wife what happened as the family were going through a difficult time (the chronology in this section of “the Diary” is confused). Eliza, however, found out about the accident because James took his water logged watched to a watchmaker to get it repaired and the story leaked out. Another work related injury was accidentally running a piece of iron into his foot. James was also hit by a bike, injuring his knee cap, which left him laid up for several weeks. James wife, Eliza, died in February 1890 (although he records the year as 1891). James continued to live in the East End of London for several years with different combinations of his children with him, as I discovered in the 1891 and 1901 censuses. Two of his children, Elizabeth and Edward, were born deaf, which was an extra challenge to deal with. Around 1906, James fell ill and a cold climate was recommended. His children were all grown up and independent by this time, so he decided to move to Canada. James notes in “The Diary” that he had good health while he lived in Canada and was only sick twice, once when falling down some stairs and the other time he was injured getting out of an electric car, injuring his arm and shoulder. The electric car jerked as he was stepping out of it. As the driver was at fault, James received a small amount of compensation. He may have only been ill twice in Canada, but James had another near death experience while living there. When working in a Manitoba winter, he got lost in one night the snow. Fortunately, he relocated the markers he was told to follow fairly quickly after losing sight of them. His 1.5 mile walk through the snow took 8 hours; he got home at 3am. Also, while living in Canada, his lodging burned down. James lost everything other than the clothes he was wearing and was not insured. He somehow sorted himself out in spite of having no family or close friends in the country. James lived in Canada until early 1925. I have found him in the 1921 Canada census, living in Vancouver. In 1925, he returned to England and lived here for the last 5 years of his life, dying in 1930 from senile decay. James Jesse Blake’s life seems to have been full of incidents and disasters. I would guess that most people of advanced age would have had similarly eventful lives, but most of the time the memories die with them and there is no record left for their ancestors to appreciate the luck or effort it took to grow old. If life had only gone a little differently for James, he might not have survived to tell his story. This post was written in response to two recent prompts from 52 Ancestors in 52 Weeks – “Longevity” and “In the Census”. As I mention at least four ancestors in this post, I figure it is Okay to use multiple prompts for it. I am an Aussie living in England. For a few years I have been writing as a hobby and thought it was time to share my writing more widely. I have a blog for fiction and a blog for stories from my family's history. Susan Blake. Ethereal theme. Powered by Blogger.